5 star nylon base features locking non-marking casters. 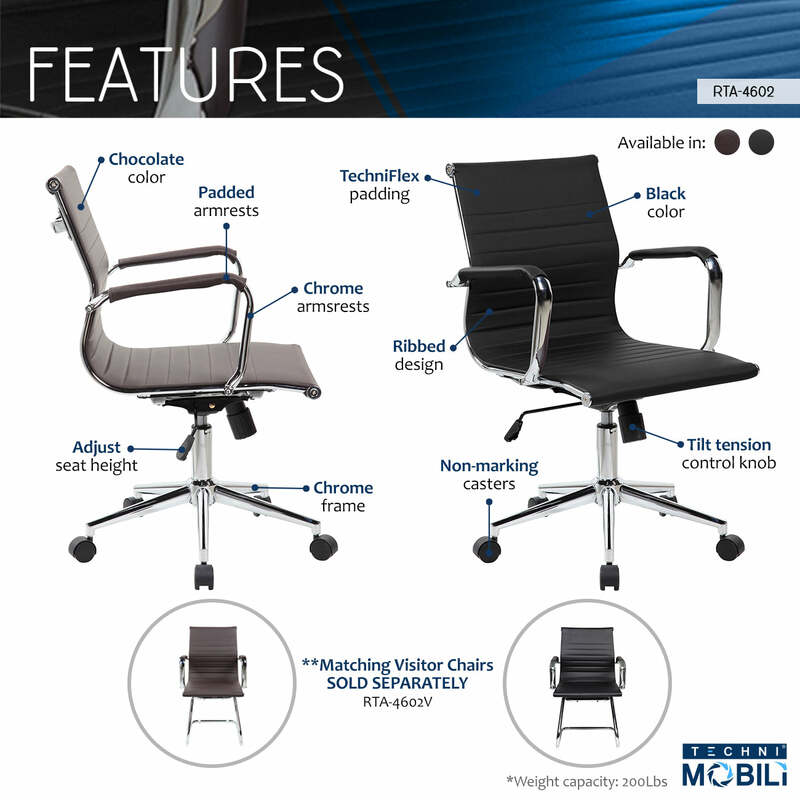 This elegant and modern Techni Mobili Executive Office Chair will add an upscale appearance to your office with its attractive stitched seat and back. Made of Techniflex upholstery with chrome steel base and chrome arms rests, the comfortable seat has built-in lumbar support and has an iconic ribbed design; features a chrome base, pneumatic seat height adjustment, armrests and locking tilt control with tension knob and comfortably fits users up to 200 Lbs. Color: Black & Chocolate.